presence the vital material in creating its form.The installation exists as two large-scale, networked projections of two single, white lilies onto a pair of Baroque panels. 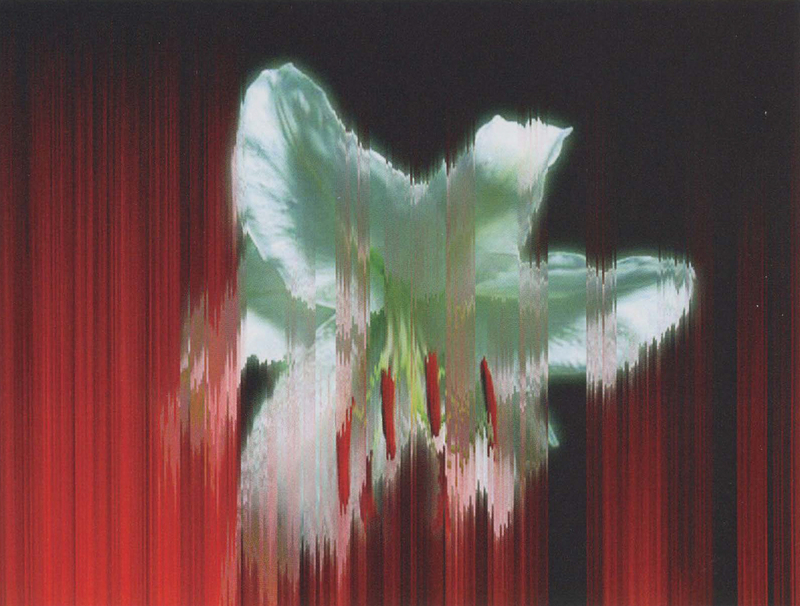 The lilies are entirely controlled by online users whose interaction with the lilies is immediately reflected in the physical installation. Over the course of the exhibition, the lilies are systematically destroyed by the cumulative actions of visitors to the project web site, forming a luminous animation in perpetual erosion. If at any time there are no online users interacting with the images, the eroded lilies slowly regenerate back to their original state. anonymous others, typically invisible in everyday use of the web, made visible. With the sense that someone is intentionally transforming their immediate surroundings, viewers of the installation experience the project as a kind of threshold architecture where the presence of others, layered in time, has an impact on the way they understand and interpret their relationship to public space.